Day 1: Fly direct to Luxor. You will be met on arrival taken to your Nile cruise boat for a four night cruise. Day 2: Morning visit to the Valley of the Kings - the site of Tutankhamen's tomb, the Temple of Queen Hatshepsut and the Valley of the Queens. Final stop of the day will be at the Colossi of Memnon before arriving back at the boat in time for lunch. Afternoon at leisure whilst the boat sails to Edfu via the Esna lock. Days 6-8: There are two options you can choose to spend 3 nights in Luxor discovering even more magnificent Tombs and Temples or stay in the bustling capital Cairo where you can marvel at the breathtaking Great Pyramids and the treasures of Tutankhamun. Day 5: Transfer from Aswan by road to Luxor (approx 3 hours) for a 3 night stay. 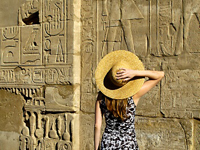 Day 6: A half day trip to visit the Luxor and Karnak Temples is included. Afternoon at leisure, time to relax by the pool or to do some shopping. Day 7: Today there is the opportunity to take an optional excursion by boat to see the lovely Denderah Temple. Day 8: Morning at leisure. Late afternoon transfer to Luxor airport. Alternatively you could extend your stay in Egypt and spend a relaxing week by the sea in El Gouna. Day 5: Fly from Aswan to Cairo for a 3 night stay. 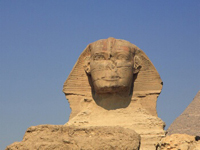 Day 6: Today you have the opportunity of an optional morning excursion to see the Great Pyramids of Giza and Sphinx. Afternoon at leisure, time to relax by the pool or to do some shopping in the many bazaars. Day 7: Take an optional morning excursion to the Egyptian Museum to see the treasures of Tutankhamen. In the evening take an optional trip to see the Sound and Light show at the Pyramids. Day 8: Fly to Luxor and onward flight to the UK. Alternatively you could extend your stay in Egypt and spend a relaxing week by the sea in El Gouna. Please note the Nile cruise itineraries can be subject to alteration locally at short notice. In Cairo all excursions are optional and can be booked and paid for locally. 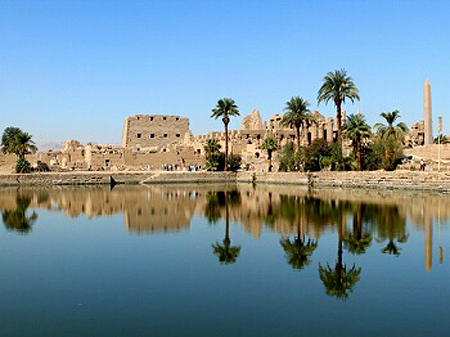 In Luxor the Denderah excursion is a full day trip at a cost of approximately £45 per person.